Time to get out your sunglasses. Imagine looking into the sky and seeing multiple suns. 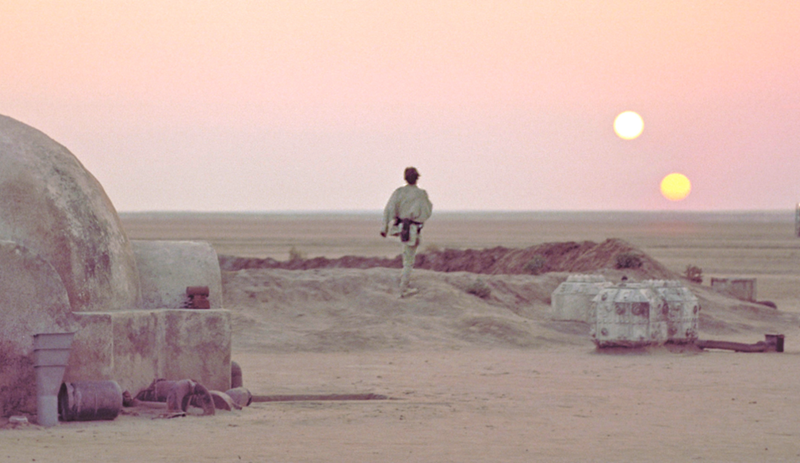 For fans of the Star Wars films, the image of a double sunset on Luke’s home planet of Tatooine might jump to mind. Well, these types of multi-star systems aren’t just in sci-fi films. They’re quite real. 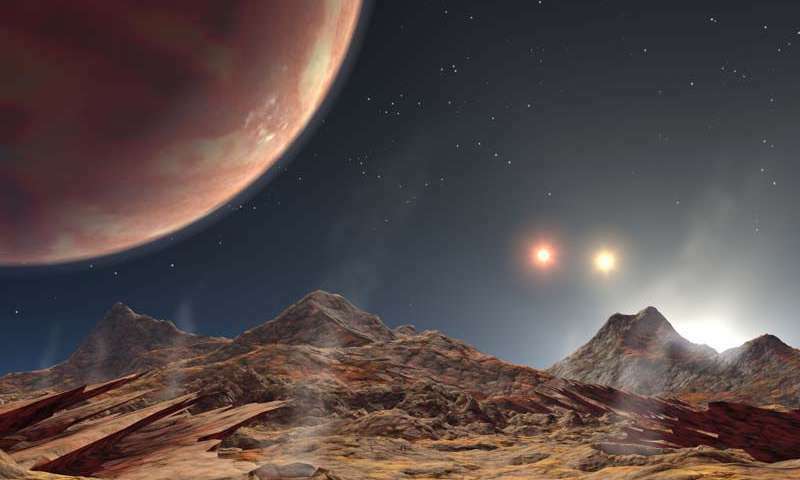 And now, a team of researchers from the Harvard-Smithsonian Center for Astrophysics has discovered a triple-star system—one that has a stable orbit planet in it. Known planets with three stars appearing in their sky are rare, this new discovery is just the fourth, and it’s the closest one yet. The main star is also brighter than the other stars that serve as Suns for their planets, making it easier to study both the star and the planet. The objects under study in the new system are KELT-4Ab, a gas giant planet, similar in size to Jupiter…but it only takes approximately three days to make its way around the star KELT-A, which serves as its Sun. The other two stars are much farther away and orbit one another over the course of approximately 30 years. It takes the pair approximately four thousand years to orbit KELT-A. So what exactly would you see if you were on the surface of KELT-4Ab? You’ll definitely need your sunglasses for this view. KELT-A, would appear roughly forty times as big as our Sun does to us due to its close proximity. The two other orbiting stars would appear much dimmer due to their great distance. Studying this system offers a unique opportunity for scientists who are trying to understand how gas giants, such as KELT-4Ab, manage to orbit so close to their star. Theory suggests they should be more distant, as is the case with Jupiter. One possibility, at least for this new discovery, is that it might have something to do with the nearby binary system.